Why Aren’t You Just Waiting for the Pixel 2 and Pixel XL 2? I don’t ask that question because I have anything against the soon-to-be-announced Samsung Galaxy Note 8 or LG V30 or iPhone 8. 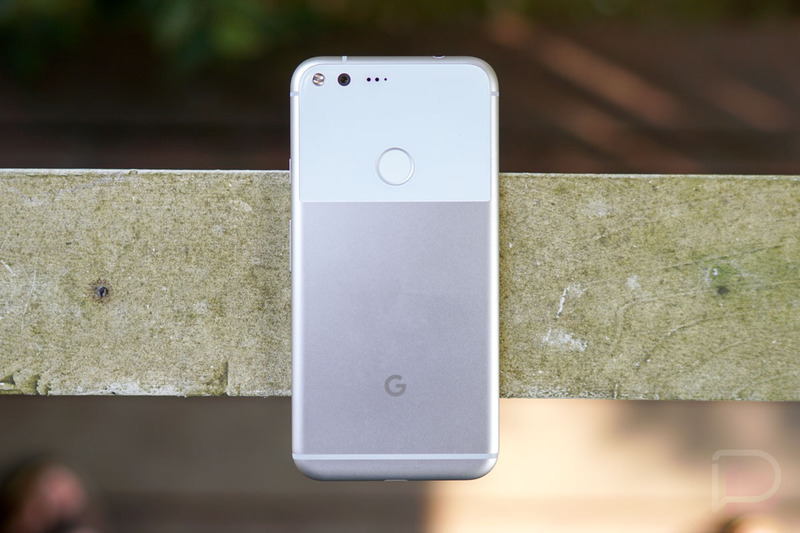 I ask it because after experiencing last year’s Google Pixel and Pixel XL for months, taking a break to review other flagship releases here and there, and then returning to Pixel, I can’t imagine not at least holding out to see what Google truly has in store for the Pixel 2 and Pixel XL 2 before making a purchase decision. Of course, I’m fully aware of the flaws in last year’s Pixel phones. The lack of water resistance, the high-price tag, and the uninspired design weren’t for everyone and certainly gave me pause throughout the year. But look, all signs point to Google dealing with at least two of those issues (the price isn’t going to be lowered), while throwing in some added bonuses. Seriously, don’t you think you should maybe wait until Google’s new Pixel 2 phones arrive before pulling the trigger on a new phone? Google slipped up a bit last year when it told Wired that they skipped things like water resistance in the original Pixel and Pixel XL because they ran out of time. In a way, that was an admission that they were rushed after their fallout with Huawei, who was originally pegged for Pixel building, but also that the follow-up device may be the one to get really excited about. And from early leaks and rumors, I’d say Google isn’t going to let us down. You’ve all seen the Pixel XL 2 render, right? That’s the one we believe is built by LG and will feature the same 6-inch POLED FullVision display as the LG V30. It looks gorgeous. Not only that, but it’ll have a premium metal and glass body, along with its own identity that it lacked last year. Let’s also not forget that LG is fully-versed in the water resistance department at this point, so I can’t imagine this phone won’t have some level of water resistance. Outside of that, Google will bring the goods, including whatever the latest Snapdragon processor is come October, enough RAM, enough storage, and what we can only assume will be one of the best camera a smartphone has seen. Oh, but you might want the smaller HTC-made Pixel 2? It’s going to be equally as good even with the lack of a FullVision style display. You’ll get the same camera as the larger XL, as well as the same premium build, and same processor and RAM and storage, but HTC is reportedly also making sure they pack in front-facing stereo speakers for Google. Also, HTC recently got into the water resistance game too, so you know where that should lead. Both phones are thought to have squeezable sides as well, a move that should produce something similar to the HTC U11’s Edge Sense, where you can squeeze the phone to open apps or the Google Assistant, take pictures, etc. This could be just one of the new areas that Google tries to set these new Pixels apart from the pack. Let’s not forget about fresh colorways either. Everything we have seen or read at this point paints a picture of Google’s new Pixel 2 phones fulfilling the vision they set out when they decided to ditch Nexus and create the premium Pixel line. Because they don’t seem to be rushed this year, we aren’t just getting some leftover mid-range phone shells from HTC, stuffed with high-end internals and a glass plate on the back. This time, we’re getting Google. Yeah, I think you all know how I feel about Google reportedly ditching the headphone jack for the Pixel 2 and Pixel XL 2. If not, read this and then come back to us. You are probably going to get sick of me saying this so often, but after looking at the last 5 years worth of Android distribution numbers, it’s on my mind and something you should care about. You know the Google Pixel 2 and Pixel XL 2 will have the newest, cleanest, most secure version of Android at all times. That’s what happens when the company making the phone happens to make the software. You won’t get that experience with anything else except Apple’s iPhone. Maybe you don’t care. Maybe you are fine being at least one full version of Android behind because companies like Samsung are at least giving you monthly security patches. That’s fair. That’s just not what I’d expect from a phone that could cost upwards of $1,000. If I’m spending that kind of cash – and I doubt the Pixel XL 2 is going to cost $1,000 – I better not be waiting until March to get software that came out in August. To give you an example, let’s look at the Galaxy S8, which is still on Android 7.0 even though Android 7.1 went stable to Nexus phones in December 2016. That’s 100% unacceptable in any industry, let alone one that is constantly changes and evolving. When the Pixel 2 and Pixel XL 2 arrive (likely in October), they’ll run not only Android 8.0, but there is always the chance that they run Android 8.1 and include a special set of features not even available to Nexus phones. Google’s Sundar Pichai talked about this over a year ago, when he said that they were “investing more effort” into Nexus (at the time) by being more opinionated on design, but also on the software feature set that they could ship on top of stock Android. The original Pixel was only step one in that vision – Google has now had another year to invest further in those ideas. Why aren’t you waiting, again? Maybe you already virtually slapped me and told me to shut my mouth because you plan on buying the Galaxy Note 8 or LG V30 (or maybe the Essential Phone). I actually can understand why you might do that. The Galaxy Note 8 will have it all: big, beautiful display, dual cameras, S Pen, all the storage and RAM, decent-sized battery, water resistance, fast wired and wireless charging, and a headphone jack. The LG V30 will be right there as well with its big ol’ 6-inch POLED display, dual camera setup (one at f/1.6! ), premium build, focus on media creation and consumption, and more than likely a DAC of some kind to bring you them quality beats. But as I just mentioned, their software won’t be there. Samsung has gotten somewhat better with their skin, but I don’t know that LG has just yet. And again, when you are forking out close to $1,000, do you want average, not-up-to-date software? Maybe you do! But maybe this is the year that you stay patient and give Google’s vision for Android a try after being in Samsung or LG’s ecosystem for so long. I’m telling you, just as I told you back in December 2016, this could get awesome. You waiting for the Pixel 2 or are you ready to pull the trigger on something else? NOTE: The counter argument for the Galaxy Note 8 is now up here.